Show off your birth month with this finely detailed Black Gold Angel's Heart Emerald Ring! 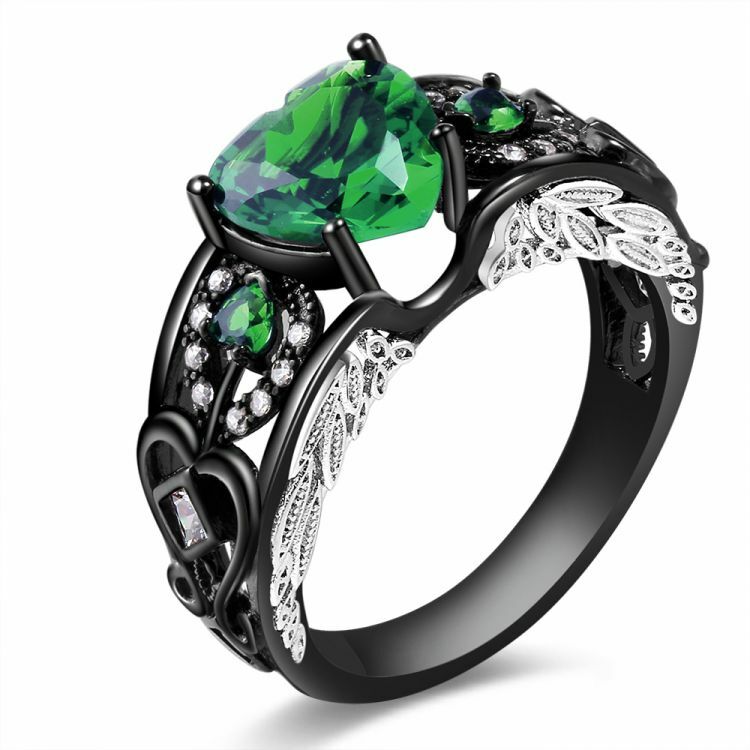 It is black gold filled and features a 8mmx8.5mm lab created Emerald main stone. Buy one for yourself or for that special May baby in your life!